When Max sent me the email for the Raleigh card show, I originally thought that I wouldn't be able to go. We are on a TIGHT budget since we are paying rent + mortgage. When my birthday rolled around 2 weeks ago, my grandmother and step-grandfather (is that a word?) both gave me some money. Deciding that a.) I know Grandma and Pastor T. wouldn't want me spending my birthday money on bills and that b.) I might be able to go to the show with Max, who, I haven't been able to spend as much time with as I would like due to both of our schedules; I decided that I was going to go. 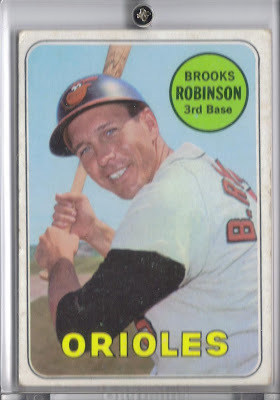 I figured that, even with the limited amount of money at my disposal, I would try to knock some more 1955 Topps off of my list. 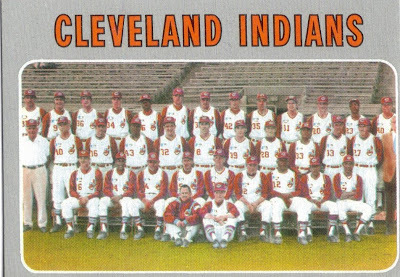 Maybe even cross my fingers and be able to complete the set if we found a dealer looking to get some quick cash. Max and I were able to sync up and arrange for me to pick him up at NCSU so that he could come as well. 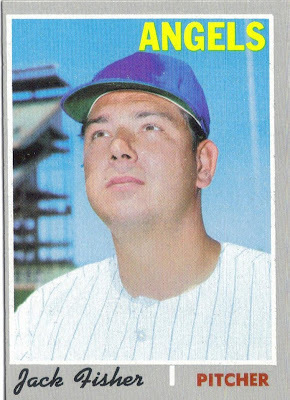 He, also, was a little strapped for cash, but did manage to save a little so that he might be able to begin his quest for starting the 1960 Topps set. We were both disappointed when we got there that there were very few 'Vintage' dealers at the show. It turns out that there was a 'semi-national' show going on at the same time in Pennsylvania, and most of the bigger vintage dealers had gone to that show. Meaning, not a single person had any 1955s that I needed. If I needed some 1956s, I would have definitely been in luck. After making the rounds at the show, we had seen a few random cards we both were interested in, but nothing jumped out at either of us like in previous shows. 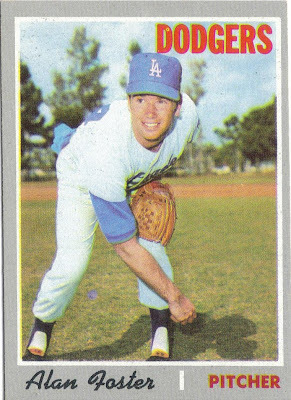 Max found a vendor who was selling the 1969 Topps Fold-Outs really cheap and picked up an Al Kaline for $2.00. While he was looking at the two Kalines in the stack, I saw a bird logo sticking out from farther down in the pile. 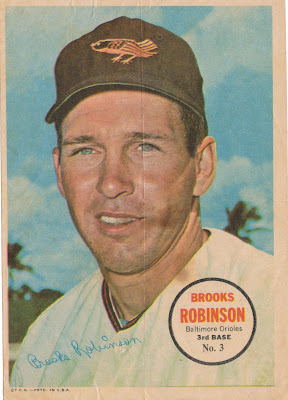 Yep, Brooks Robinson!!! I picked up the Brooks for $3.00. Not too bad! 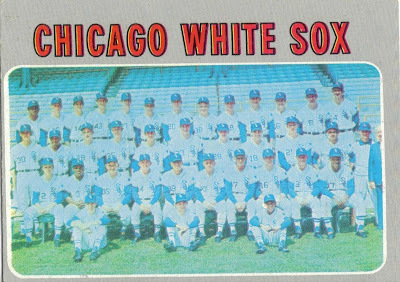 We also found a dealer who had a few vintage cards he was selling out of a box as a 'Sunday Special' for $0.50 each... 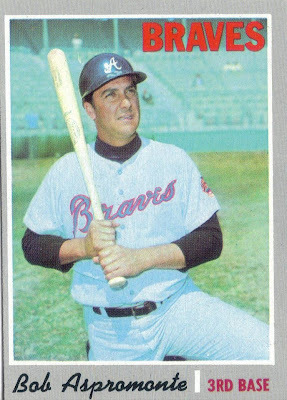 I picked up 11 1970 Topps for $5.00 while Max picked up a good many 1960s for less than $10. A few tables down, another vendor was selling loose cards from the 70s for $0.25 each and I was able to get an additional 19 1970s for $4.25. Based on my calculations, including the $4.00 entry into the show (thanks to Max for the $1.00 off coupon) it appears that I spent $17.50 total at the card show and ended up with some blog-worthy stuff. 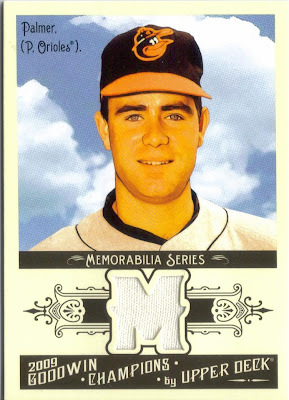 We were definitely disappointed in the fact that neither of us were able to have that 'amazing' card show moment (see my previous post about getting the 1962 Mantle, or Max's post about his Kaline RC), but, seeing as how the both of us are struggling lately, we managed to have a productive outing. As always, any time I am allowed to spend with Max, my best friend, is priceless in itself (go ahead and throw up in your mouth a little). I really appreciate being able to have such a close friend with the same interests as I. Thanks for making time to come and hang out buddy! Let's do it again the next time around in December!! Saturday, while hanging at the shop, I picked up a pack of SP Legendary Cuts (which, in my opinion, is the best product UD has put out this year). 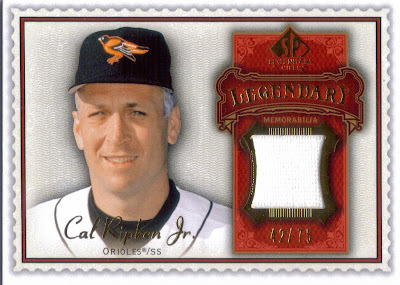 Insode the pack was this awesome Cal Ripken that I knew, for sure, I didn't have in my collection. It is so hard, now, trying to figure out which Cal's I have and which I do not; seeing as I have 400+ of them... 400+ DIFFERENT Ripkens... Crazy, huh? 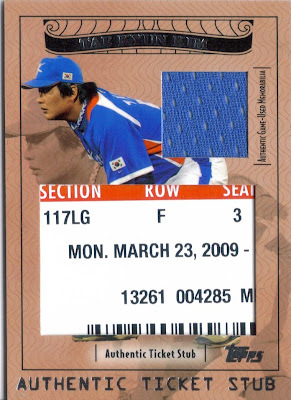 I also picked up a pack of Topps Ticket to Stardam and pulled this WBC Ticket/Relic. 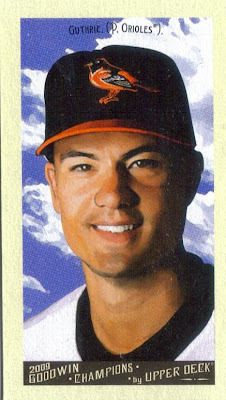 I have no idea who the player is, but its a cool card nonetheless. Be sure to keep an eye on Pete's blog to see his awesome pull... 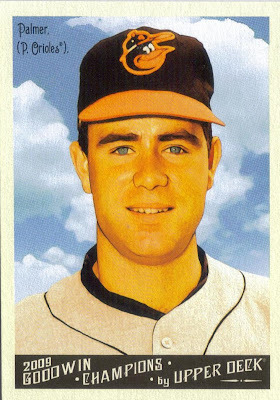 Speaking of Pete, he hooked me up with the following UD Goodwin O's cards. 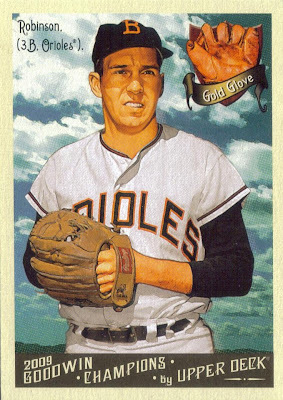 I, for one, like the Goodwins, even though they are eerily similar to Topps' Allen & Ginter. I have seen a few really cool retired player cards (including Bo Jackson). 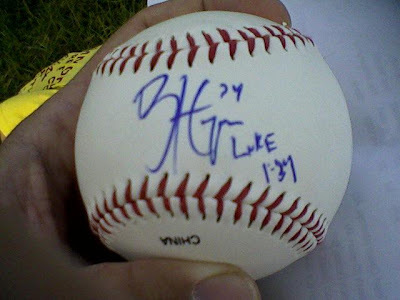 I already had a signed ball from Harper, which P.A. 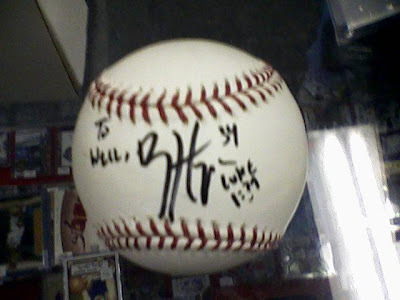 was able to get for me on Saturday (for my birthday too), so my main goal was to meet Harper and to try to get Chris and Max signed balls. Harper was a nice guy, he patted Chris on the head and talked to him, and for once, Chris wasn't shy and actually gave up his ball to Harper on the first try. Usually if he has a baseball in his hand, he won't give it up. Yep, that's right! This time, I wasn't drunkenly bidding on ebay either, haha. 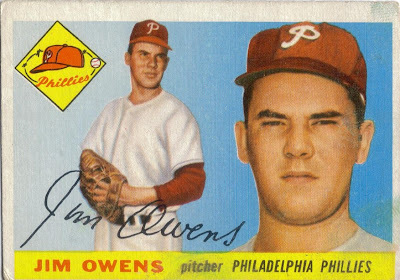 I got card #202, Jim Owens. He looks so pleased to be joining my collection doesn't he? This came courtesy of the ebay gift card my loving (cough cough) wife gave me for my birthday. Hooray for 1955s!!! As a kid, birthdays were special. Pretty much like Christmas, but really your own special day. After I turned 18, they really became just another day to me, mainly because after that, my Mom was really the only person who would get me stuff. Now, I know what you're thinking... selfish, materialistic, blah blah blah. Yeah, don't tell me you don't like getting free stuff, haha. Anyway, Yes, I am aware that my wife gets me stuff too, but usually, its stuff that in the end, I'm paying for. Also, it is really hard to get me anything anyway because I, like my father, usually see something I want, and buy it for myself. So, this year, I wasn't really expecting much. I was hoping for, really, just a few phone calls, maybe a few personal emails, etc. Some people remembered to call, some didn't. No big deal, like I said before, it really is just another day to me now... I was caught by surprise though, when Pete and P.A. both told me they had gotten me stuff. 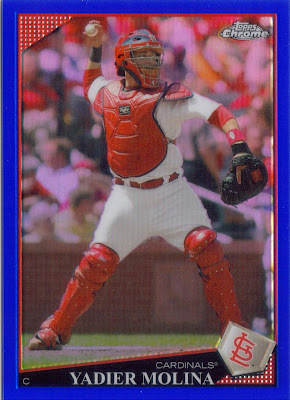 Earlier, I posted from the Topps Chrome and A&G needs that Pete got me. Pete, I really appreciate that you remembered me. I don't do thank yous well (I usually write the thank you cards and forget to mail them), so here, in public, I'm saying thank you Pete. 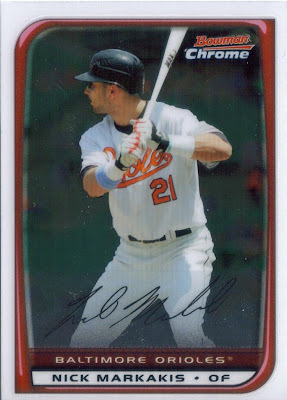 The Nolan Reimold Topps Chrome RC Auto I was really hoping to pull- and a personalized ball signed by THE Bryce Harper. Now, this was definitely unexpected from these guys, but it goes to show that the three-hour drive to the card shop is definitely worth more than the pay. Its more than that. I really have made some good friends, ones who I know I can count on, and definitely won't forget me :) Thanks again guys, you're the best!!! Not to be left out, my wife did work hard to get a little something as well (seeing as we are really strapped for cash right now), and without me knowing, or having to pay for it myself, haha. 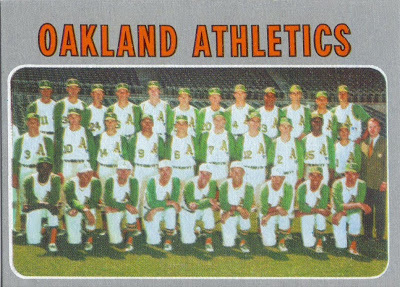 She got a gift card to ebay for me, and I have a couple 1955 Topps I got with it on their way here to Greenville. So, all in all, a pretty mediocre birthday was made much better by the thoughts from Mallory, Pete, P.A. and of course Mom. Thanks, it really means a lot that you guys went out of your way to try to make my day a little more special. 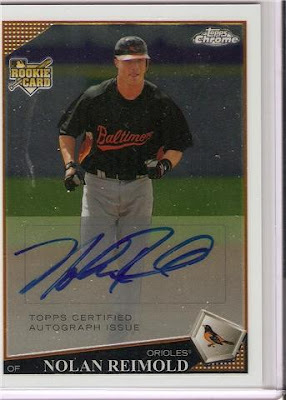 Labels: Auto, Autographed Baseball, Bryce Harper, Nolan Reimold, P.A. My good buddy Jim hooked me up with some 1970 Topps to knock off of my list... Slowly, but surely I am taking this set down... See the scans for details, haha. 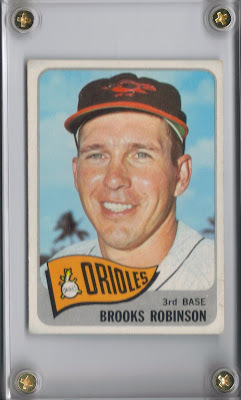 I opened a few packs of UD Goodwin on Saturday and got two SWEET cards: I got a sweet Jim Palmer GU Jersey and the awesome Brooks Robinson base card. 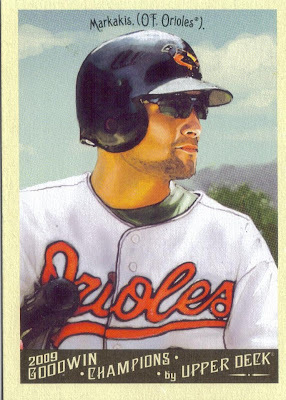 They look really nice, althought eerily similar to Allen & Ginter.... Oh well, still nice to have in my collection. Pete and P.A. 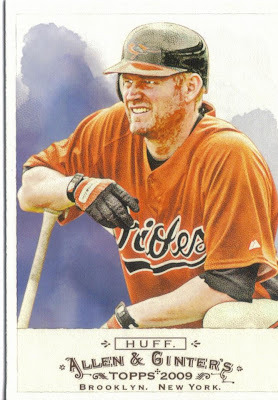 split a box of 2008 Bowman Chrome and P.A. gave me Nick the Stick!! I also have a bunch of stuff I need to scan from past weeks, but I don't want to flood my blog just yet. I'll let you guys enjoy these past few posts first. 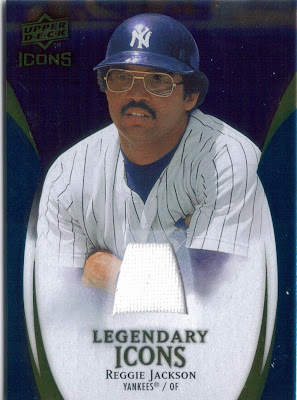 Along with the awesome Brooks Robinsons from my Mom, Pete from http://droppedthirdstrike@blogspot.com got me a blaster box of Topps Chrome- and several 2009 A&Gs I needed for my set. AWESOME!!! Thanks Pete and Kim!!! Kim made me an awesome birthday card as well. She sure has talent. Pete has talent too, he has an awesome impersonation of Mr Herbert from Family Guy. Hahahaha. 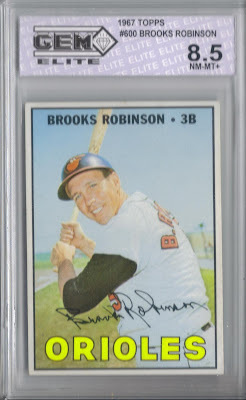 1969 Topps Brooks Robinson and, 1967 Topps Brooks Robinson, graded at 8.5. 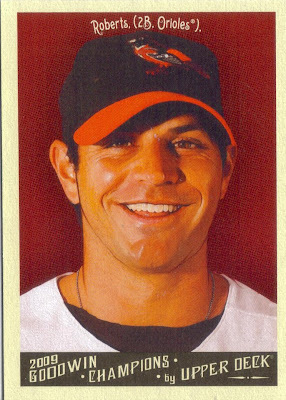 I now own all of Brooks' topps regular issue cards. Thanks Mom! I'll be back with another posting shortly showing some more stuff that I got. This weekend, we will initiate my wife and son moving to Greenville. My wife starts at her new store on Wednesday!! My birthday is Monday. The house is looking good and getting showings, and now we will have been moved out of it (for the most part). Card shop on Saturday. Busy weekend coming up!!!!!! Hopefully, I can get my scanner hooked up to my laptop and get you guys some scans of some stuff. Maybe be able to blog a little more often? Hope so!! !